It’s not just Marvel and DC characters who we can look forward to seeing in theatres over the next few years, as independent comics company Valiant Entertainment is also working to get in on the lucrative superhero cinematic universe game. 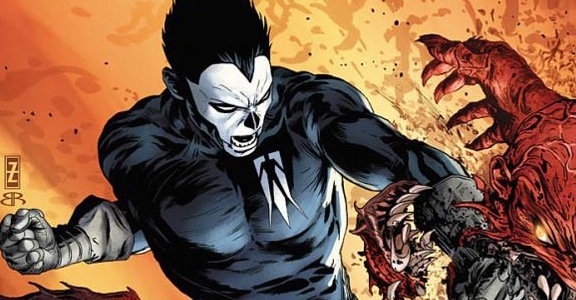 In fact, they’ve just taken another giant step forward today, as Shadowman, one of several projects of theirs that are currently in development, has now found its director. The Hollywood Reporter is telling us that Reginald Hudlin, who’s set to make his directorial debut on upcoming thriller Marshall, has signed on to helm the movie. The filmmaker will be most well known to comic book fans for his four year stint writing Black Panther for Marvel from 2005 to 2008. Most notably, the hero married X-Men member Storm during Hudlin’s run. Adam Simon, the showrunner for Salem, is penning a new draft of the script for Shadownman. The original screenplay was written by cult favourite screenwriter and comic book scribe J. Michael Straczynski, who will be staying on as executive producer. Aparently, the plan is to develop the movie within the company and then to pitch the project out to the studios. In the comics, Shadowman revolves around Jack Boniface, an African-American jazz musician from New Orleans. One night, he becomes possessed by a supernatural spirit which imbues him with dark powers and he becomes the titular Shadowman – the city’s protector against demonic forces such as necromancer Master Darque and other creatures that escape from the underworld region known as the Deadside. The character was created by Jim Shooter, Steve Engelhart and Mike Manley in 1992 and back in 1999, Ice Cube wanted to star in an adaptation of the property, but studios weren’t interested at the time. 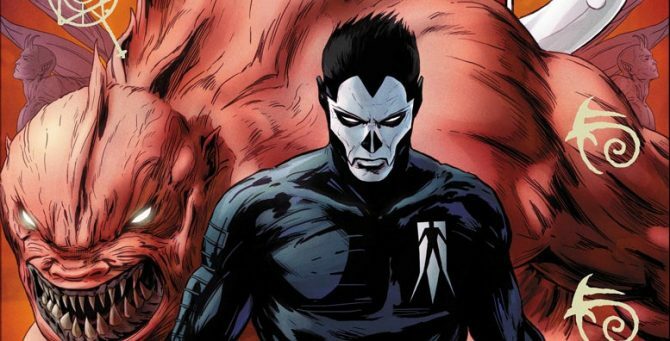 Other movies that are in the works as part of the Valiant movie universe include Harbinger and Bloodshot. Not only that, but Sony currently has a five-picture deal with the company and a couple of other Valiant properties are being developed into TV shows – namely, Archer and Armstrong and Quantum and Woody. How these will all tie together remains to be seen, but we’re certainly intrigued to learn more. Shadowman doesn’t have a release window just yet as it’s still in the earliest stages of development, but as always, we’ll let you know when we hear more.